Hi Brooks from StreetToPeak kept the Black Market Photo trade going and going, finally logging an impressive $1760 in total donations to the Whistler Children’s Centre Father Daughter Dance fundraiser on May 8. 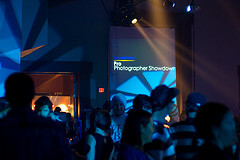 At the final tally, $200 worth of tickets to the Olympus Pro Photographer showdown at this year’s TELUS Festival netted $3300 in charitable donations to KidSport, the Whistler Children’s Centre, the Christopher Reeve Foundation and the Paul Brunes Young Heart Foundation. I connected with Cathy Jewett, one of the successful bidders, after the fact, to find out why anyone would drop $1000 for 40 bucks worth of tickets, even if the show was sold out. “I gave to Kidsport last year for the first time. Why? Because it was the designated charity to honour my friend Wendy Ladner-Beaudry. Wendy and I were Telemark competitors – friendly competition. We had children at the same time, there were many bonds. Wendy was a good friend, incredible person – wise, humble, smart, athletic. She was murdered while running in Pacific Spirit Park last April 3rd. We just commemorated the day with a run/walk through those trails a couple of weeks ago. 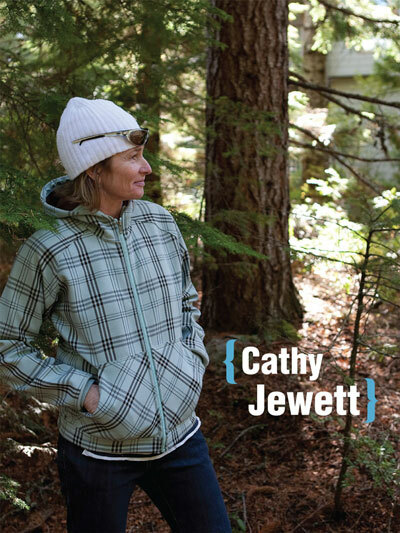 “One of Wendy’s last projects was with Kidsport. She started a program through Lower Mainland Foodbanks to reach immigrant women. Her theory was that if mothers became active in sport, their children would follow. “I meant to match the donation I made last year to the Kidsport Wendy Ladner-Beaudry Fund but hadn’t gotten around to it. When I missed out on the Pro Photog Photo Showdown tickets for the first time in at least a decade, I went searching for tickets. Someone told me there were tickets up for grabs on the website, but they required coming up with something to doing something to trade for the tickets. I saw that other people were giving to charities and voila – time to get those $ off to Kidsport. Even when we’re playing… and maybe especially when we’re playing… we can make a difference and honour absent friends. And that’s where the ripples of one little PR campaign ended up. Keep it loose. Keep it fulla love. Inspiring success story Lisa. It just proves that all we need is a little push in a positive direction to make a real difference in the community. Like Cathy, I had already planned my annual Steet To Peak donation (to the Whistler Children’s Center Society) and the contest pushed me to the next level. I have a feeling this is just the beginning. Imagine what we can accomplish with a year to prepare for Black Market Photo 2011! Didn’t someone really inspiring, like Margaret Mead, speak to that? “Never doubt that a small group of thoughtful, committed, citizens can change the world. Indeed, it is the only thing that ever has.” Just proves that Whistler folk really do know how to make snowballs… er, make things snowball. Nice work Hi. More??? I received a message from my friends at Sitka yesterday offering up 6 free tickets to the B-Grade Horror Fest in Whistler Saturday night. It’s on! The first ever #blackmarkethorrorfest is now in full effect. Six tickets, two days, one question? What are you willing to do to make this the best Halloween ever for Whistler kids? Details on the ‘Street To Peak’ Facebook Page. Get on it Whistler!